Students will review and extend their knowledge of algebra, geometry, and trigonometry. Additionally, students study differentiation, integration, and other calculus topics. They will gain proficiency using the TI-83 (or more advanced) Graphing Calculator. 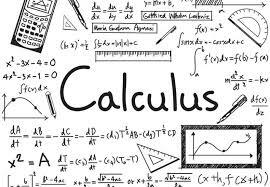 The main focus is to provide a solid background in material and mathematical skills necessary for college-level calculus. Requires a B or better in Pre-Calculus. Calculus is not a mandatory math for graduation, but may serve as a fifth math and weighted (honors) credit.